Summary: If you're moving to Vietnam, healthcare and health insurance require careful consideration. This article covers the quality of healthcare at hospitals and clinics in Vietnam, the availability of prescription medications, vaccinations and more. Expats encounter varying standards of medical care in Vietnam depending upon where they live and the clinic or hospital they visit. When serious medical issues arise, some expats choose to travel to Bangkok for treatment. Expat health insurance with good medical evacuation coverage is a necessity for any expat in Vietnam. And, prescription medicines are often available, sometimes without a prescription, but expats need to ensure the pharmacy is a reputable one. According to the US State Department, "Medical facilities in Vietnam, including emergency response services, frequently do not meet international standards and may lack medicine and supplies. Medical personnel generally speak little or no English. Doctors and hospitals expect immediate cash payment for health services. You may obtain lists of local English-speaking physicians from the U.S. Embassy in Hanoi or the U.S. Consulate General in Ho Chi Minh City from our website. 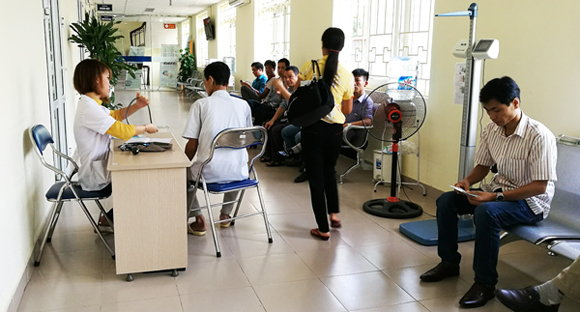 International health clinics in Hanoi and Ho Chi Minh City can treat minor illnesses and injuries, but more serious problems often require medical evacuation to Bangkok or Singapore." "My Hoan is the hospital that I used for the medical clearance needed to get a work permit. Women have babies delivered at the Women's hospital. There is a Cancer Hospital (Da Nang Oncology Hospital) which is actually, brand new. There is an expat Medical Center called, Family Medical. You can use them and they organize evacuations for urgent care," wrote one expat. "It is extremely important that travelers have sufficient funds and/or insurance to cover any potential medical costs. Frequently hospitals will hold onto a patient's passport as collateral for payment, and patients may have difficulty getting their passport back without paying their medical bills in full. Patients who do not pay their medical bills in full also run the risk of being barred from departing the country," wrote the US State Department. "Make sure your health insurance plan provides coverage overseas. Most care providers overseas only accept upfront payments. We strongly recommend supplemental insurance to cover medical evacuation as it can cost many thousands of dollars," stated the US State Department. "Most friends will travel to Bangkok if they need special care ie: surgery of any kind, cancer, dermatology etc," explained one expat in a report about healthcare in Da Nang. "Although you can purchase many prescription and non-prescription medications at pharmacies, some common U.S. medications may not be available. You should bring adequate supplies of medications for the duration of your stay in Vietnam and ensure with the Ministry of Health that the medicine you need is allowed to enter Vietnam. You should carry a copy of your prescription if carrying medicine in a travel case or container. You can e-mail the Health Ministry with further questions," advised the US State Department. "Prescription medicines are easily available here at the local pharmacies. 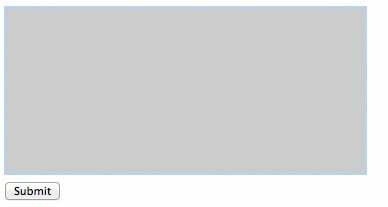 I did not need a script for my thyroid condition," commented one expat in a report about healthcare in Da Nang, Vietnam. Another expat cautioned, "Medicine is available over the counter. I have a good pharmacy I go to but, you need to ask around about pharmacy's because, not all medicine is real or unexpired. I have for example, purchased ibuprofen that simply did not work." A newcomer asked, "Looking to find out if there are good pharmacies in Vietnam where I can get my medicine. Also if I need to have a doctors prescription for this." One expat replied, "The quality of pharmacies in VN does depend on where they are. City pharmacies, especially those located near hospitals or associated with the hospital tend to be better. Most medicines do not require a prescription. This can, as happened to me, mean being dispensed with an antibiotic for my sore eyes when I only wanted a saline solution to wash them out. I refused the antibiotics." Another responded, "Chances are you will not be able to find the brand names you use at home, but perfectly good equivalents are available. I prefer to use imported medications since it is well known that. Vietnam & China often sell fake drugs. Research the drugs you take and find out the chemical equivalent available in Vietnam." One person moving to Vietnam asked, "Can someone help me with this requirement needed for Vietnam. I read that one needs to have a Health Check to move to Vietnam to live? Is that correct? If so how does one go about getting this done. Any help be much appreciated since I didn't know about this until now. 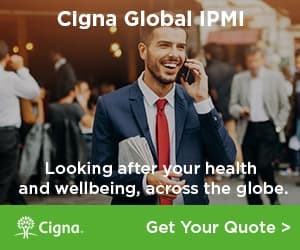 where does one start to get this health check would I need it from Australia where I am now? can I go to my local doctor in Australia?" A Vietnamese person answered, "I have done some paperwork for foreign workers in my company. As I know, you just need to have a Health Check for a Work Permit. And you totally can do it in some accepted Clinics in Vietnam." "Air pollution is also a significant problem in Vietnam's major cities, and you should consult your doctor prior to travel and consider the impact that seasonal smog and heavy particulate pollution may have on you. To obtain information on the air quality in Hanoi or Ho Chi Minh City, please follow the link to the Environmental Protection Agency's Air Now website. Hanoi and Ho Chi Minh City's AQI can be observed either by clicking on the Vietnam location on the map, or by selecting Hanoi or Ho Chi Minh City in the 'Select a City' option on the upper right part of the page. The page provides AQI over the last 24-hour period as well as pollutant concentration and a downloadable historical document," wrote the US State Department. People in Vietnam are at risk for Tuberculosis, Dengue Fever, Zika, Avian Influenza (H5N1), HIV, Japanese Encephalitis, Hepatitis B, Malaria and Rabies. Vaccination recommendations for expats differ from typical travelers, due to the length of stay and general exposure. For more information, visit the CDC website for vaccination recommendations for Vietnam.